When you reach your goal weight but find it hard to lose that stubborn fat in your belly or thighs, SculpSure® could be the next step for you. Optimal Health of Southern Oregon offers the innovative SculpSure laser treatments to eliminate submental fat and contour your figure without a single incision or any downtime. The practice customizes your treatment plan to help reshape your body with natural-looking results. Find out if SculpSure is right for you by calling the Grants Pass, Oregon, office today or using the online booking feature. SculpSure is a noninvasive laser body-contouring system by Cynosure® that eliminates areas of stubborn fat you can’t drop through regular exercise and a good diet. The safe and effective technology uses heat energy to target fat cells under your skin without surgical incisions or anesthesia. Once fat cells are permanently destroyed, you enjoy a slimmer, nicely contoured figure with no need for recovery or downtime. Optimal Health of Southern Oregon is also proud to offer the new SculpSure attachment that shaves off your submental fat, better known as a double chin. Laser heat energy reaches deep layers of fat cells, raising their temperature to damage their structure. Once broken down, destroyed fat cells move through your body’s lymphatic system. This process eliminates the excess fat cells as waste. Once destroyed, fat cells won’t grow back. How long does it take to see results of SculpSure? The laser heat destroys the fat cells on contact, but it takes some time for your body to eliminate the cells. You can begin to notice a slimmer, more contoured appearance in the treatment area within six weeks. Most people see optimal results of SculpSure within three months. Throughout your treatment, you might feel a deep warming sensation when the laser cycles on to heat the fat cells. The SculpSure technology also has a built-in cooling system to keep you comfortable during your session. 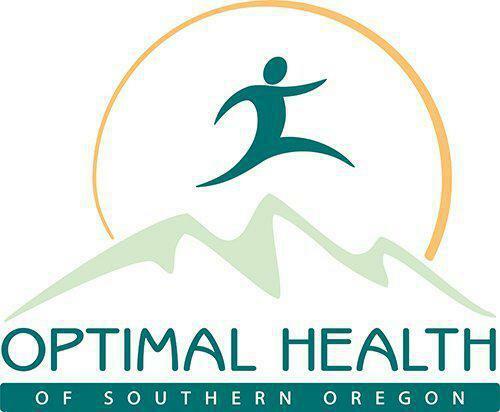 The staff at Optimal Health of Southern Oregon ensures you are comfortable during your appointment. They work with you to determine what your body-contouring goals are and prepare a custom treatment plan to help you achieve your desired results. You might need more than one treatment depending on the size of the treatment area. Your provider can discuss what to expect during your initial consultation. Will SculpSure results last forever? Once SculpSure destroys your excess fat cells, they can’t regenerate. To maintain your results, you should eat a healthy, low-fat diet and stay physically active. Optimal Health of Southern Oregon can provide resources, including nutritional guidance, to help you stay in shape and retain your well-contoured appearance. To learn more about the benefits of SculpSure body-contouring technology, book an appointment online or by calling the Grants Pass office today.